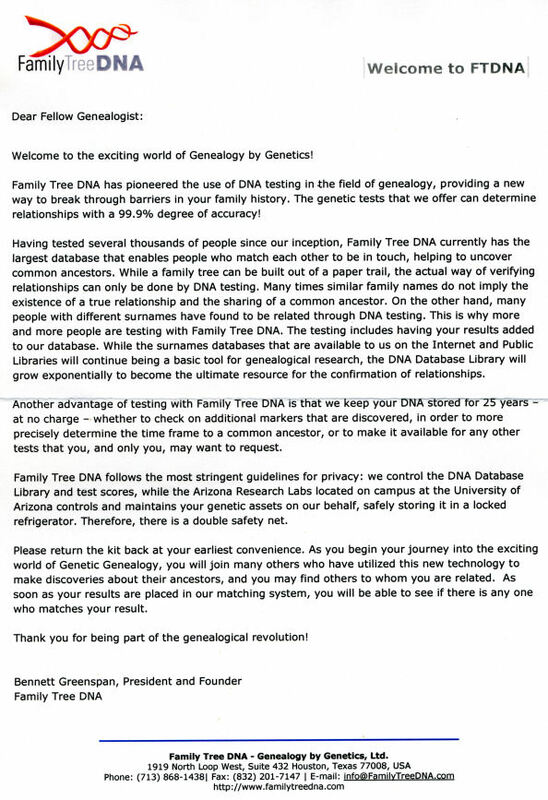 When talking to the Family Tree DNA I asked if I did a special article about them would they give me a free test and they kindly agreed :-) I'm working with Leah Wark to do this and I very much appreciate her help. Even before I asked her about this article she had been most helpful. 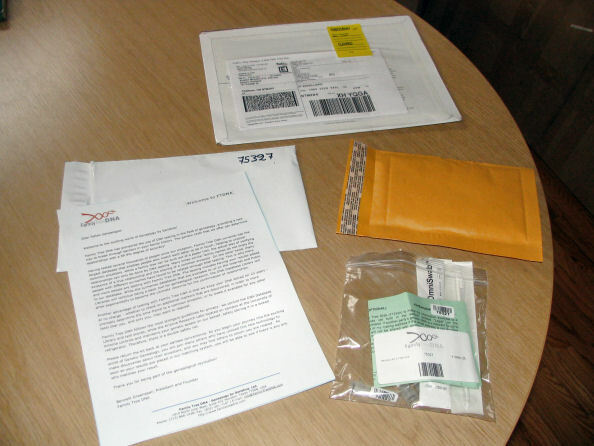 The complete kit came in the grey envelope and they supply an addressed jiffy bag for you to return your samples. You'll note your ID number is on everything so nothing should become separated. 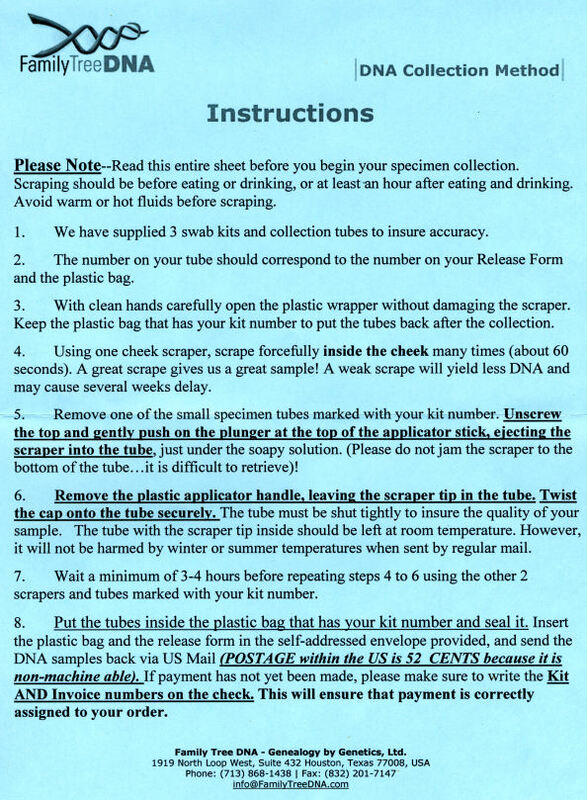 As well as a welcome letter and instructions on how to do the test the sample kit came in the clear plastic envelope the contents of which are show here. It also includes a release form for you to sign as in the event of them finding a match they will then contact you. Also note there are three sample brushes and you are asked to do all three with a 2-4 hour gap between each sample being taken. 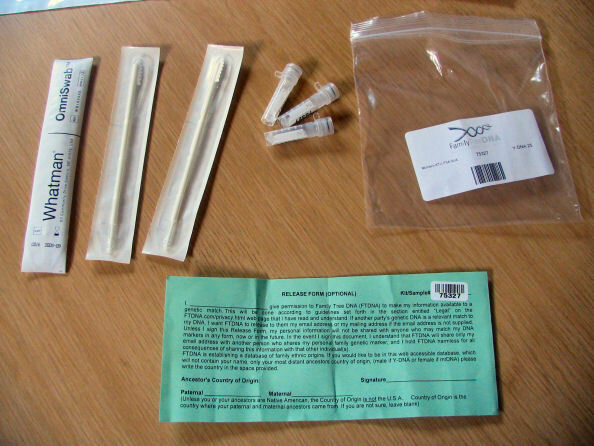 The actual sampler sticks are neat as they have a wee plunger that when you have completed the scrubbing of your inside cheek you simple put the stick gently into the top of the sampler tube and when you press the syringe like plunger it just pops in and the rest of the stick become separated and you just dispose of it. 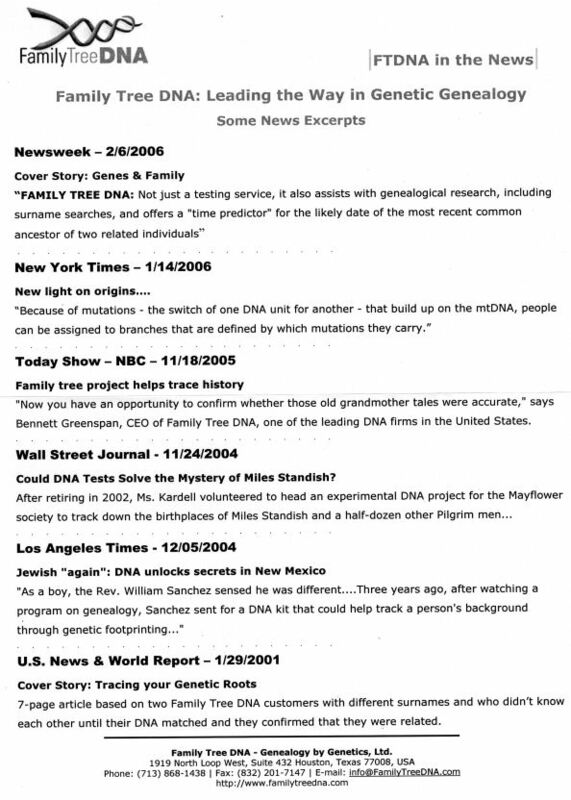 These are the questions I asked the Family Tree DNA and the answers they sent me back. 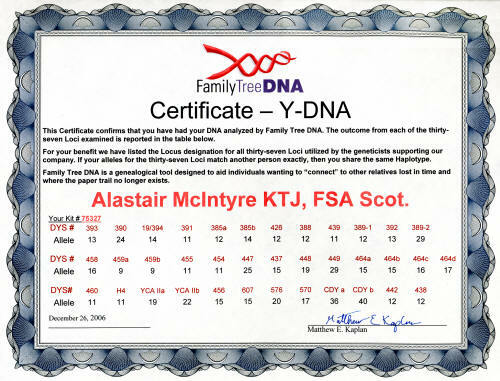 Given that the spelling of a name is often different from the original can DNA help to find out the origin of the person? New Y-DNA1-12 results have been posted for your Family Tree DNA Kit. If you ordered a Y-DNA25 or Y-DNA37 test, please note that the tests are processed in sections, and the remaining results will be posted within one to two weeks. Follow the link below for more information at your Family Tree DNA personal page. 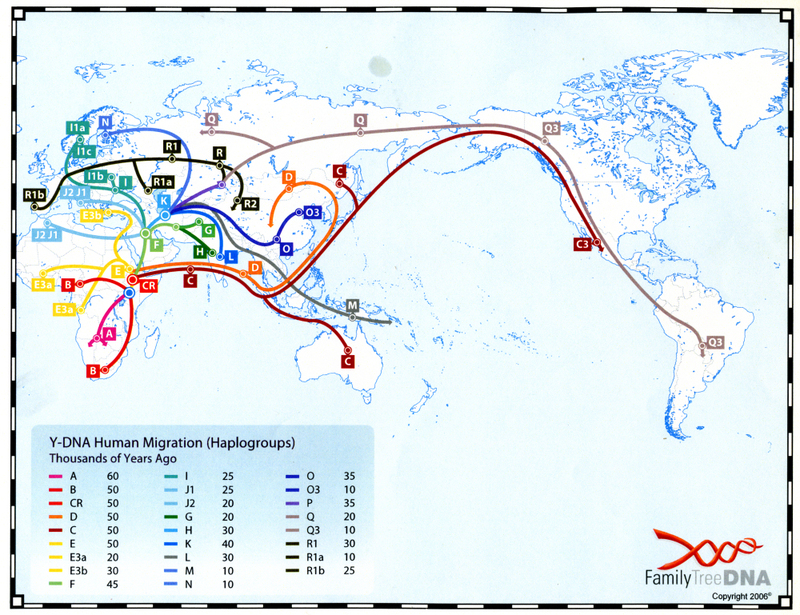 That I was in Haplogroup R1b1. And so I now need to wait for a few more weeks to get my other test. The above two graphics are scans of the certificates I received when the final tests were done and I also got 4 sheets which explained more about these results.